Eleanor Marie Robertson was born on October 10, 1950 in Silver Spring, Maryland, USA, the youngest of five children from a family with Irish ancestors. In 1968, she married Ronald Aufdem-Brinke, and they had two sons: Dan and Jason. In 1979, during a blizzard, she began writing. Eleanor wrote under the pseudonym Jill March a story for a magazine titled "Melodies of Love". 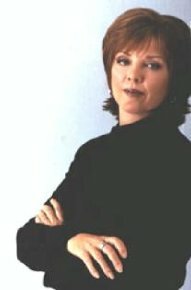 Several manuscripts and rejections later, her first romance novel, Irish Thoroughbred, was published as Nora Roberts in 1981. She divorced in 1983, and remarried Bruce Wilder, a carpenter, in 1985. Her husband owns and operates a bookstore in Boonsboro, Maryland called Turn the Page Books. Today, Nora is one of the most prolific and beloved writers in the world, with more than 200 novels and 300 million copies of her books in print as Nora Roberts, for her romance novels, and as J. D. Robb, for "In Death", a futuristic-suspense saga. A founding member of the Romance Writers of America (R.W.A. ), she was the first inductee in the organization's Hall of Fame. She also is a member of several writers groups and has won countless awards from her colleagues and the publishing industry. In 1989, Nora Roberts's novel "Magic Moments" had been made into TV movie, also "Sanctuary" (Melissa Gilbert) in 2001. In 2007 Lifetime Television adapted four Nora Roberts's novels into TV movies: , "Montana Sky" (Ashley Williams), "Carolina Moon" (Claire Forlani), "Blue Smoke" (Alicia Witt) and "Angel's Fall" (Heather Locklear).